Take a listen to this new one of the Donny Hathaway classic "Little Ghetto Boy" by John Legend & The Roots. First let me say I'm loving John Legend for remaking these classic "message" and social conscience songs. First it was the remake of Harold Melvin & The Blue Notes "Wake Up" with Melanie Fiona and now "Little Ghetto Boy". Yes and here's the honest and tough truth I have to say. The music critic in me alway burst out. "Little Ghetto Boy" sounds so much better than the "Wake Up" cover but it's still missing something. 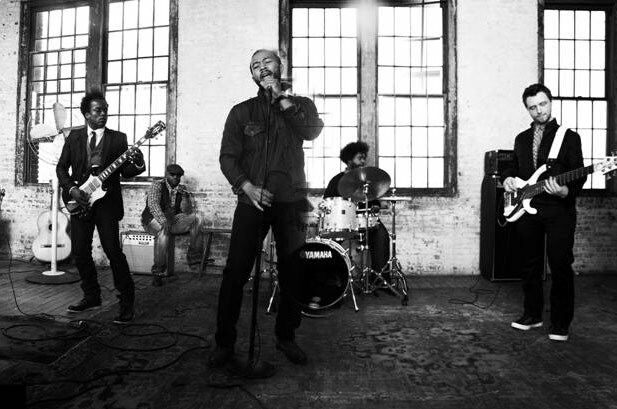 The Roots are solid behind him as a band but John Legend isn't holding up his end of the song. His vocals should have been more passionate. The instrumental gives it a fresh spin but John Legend vocals are too similar to the original. Let's face it John Legend has some smooth vocals but he'll never have the buttery soulful voice of Donny Hathaway. That's why I think he should have tried more of a soul shouter vocal style. Tell me what you think when you read more.